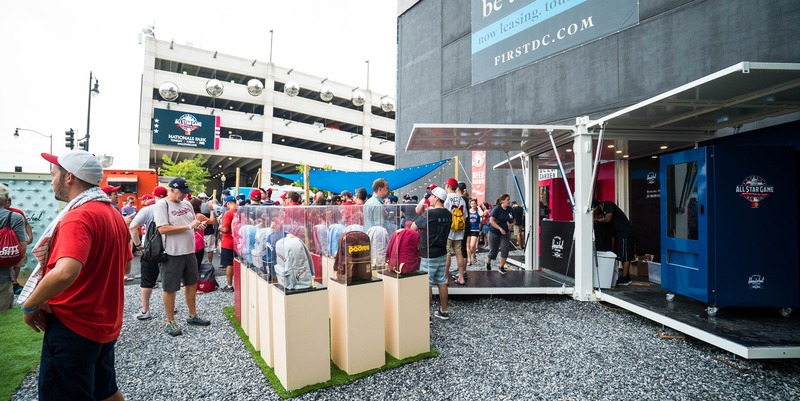 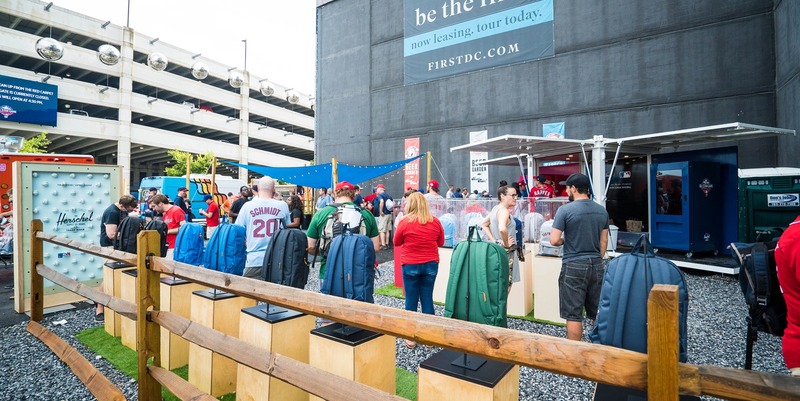 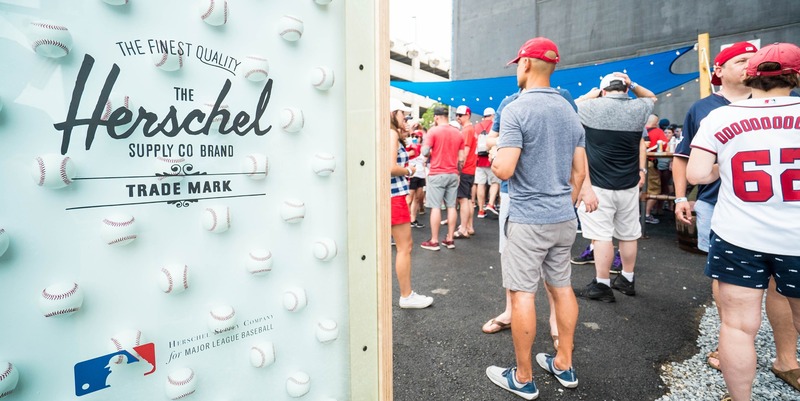 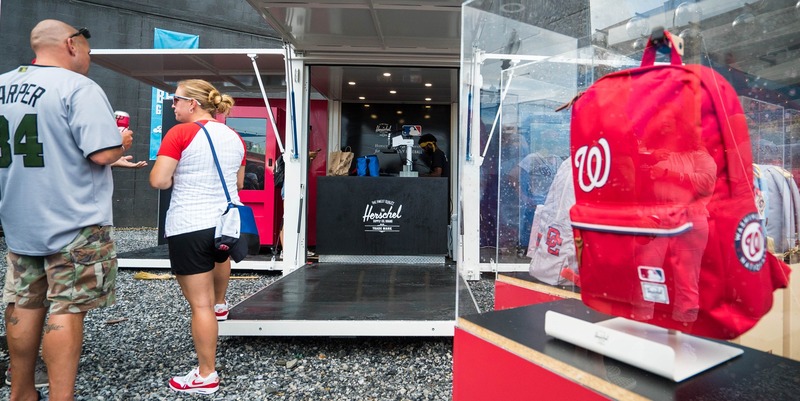 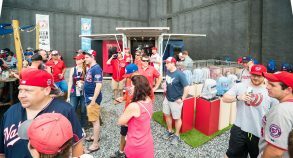 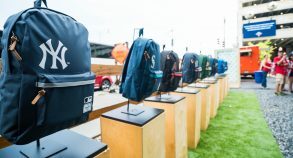 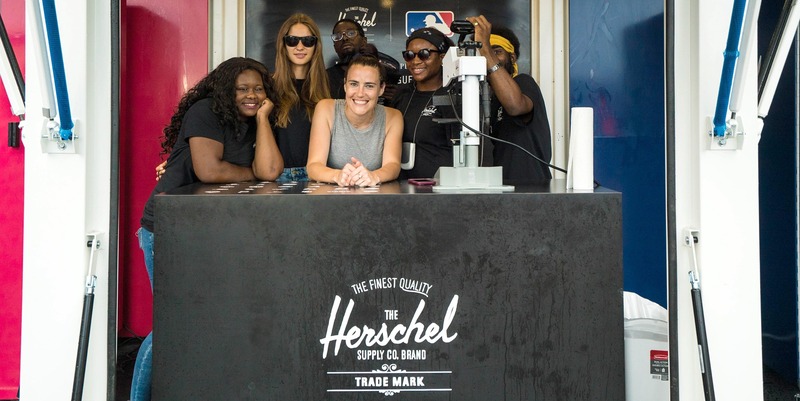 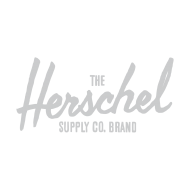 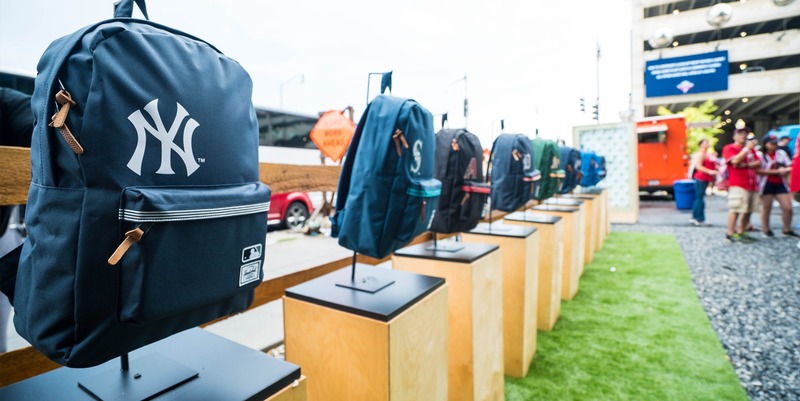 Herschel, a Canadian lifestyle brand, with products ranging from backpacks to duffle bags and totes, worked with Steel Space Concepts to build a branded SSLite8 unit for the MLB All-Star Game in Washington, DC. 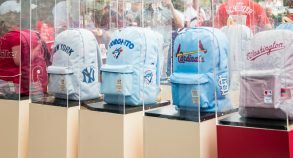 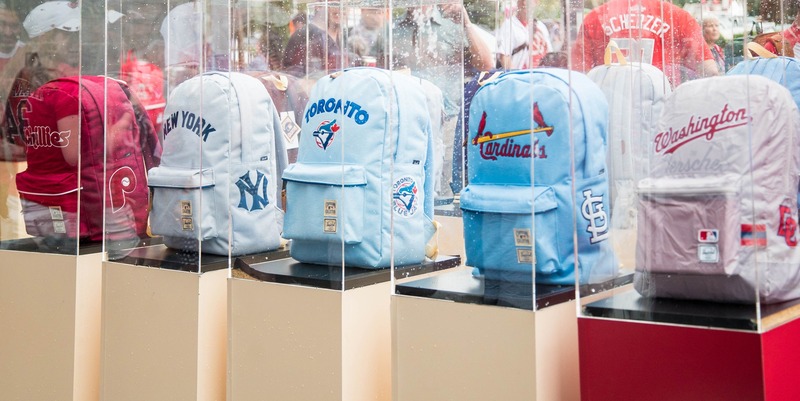 The company wanted to create a unique retail space for the sale of their MLB teams’ backpacks while generating a buzz and getting potential clients to purchase their products. 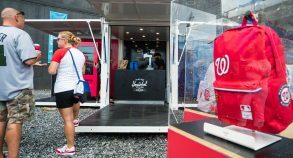 Sporting events are a great place for brands to plan an experiential marketing activation with recycled shipping containers: the units appeal to all demographics and create an interactive and visually-enticing experience. 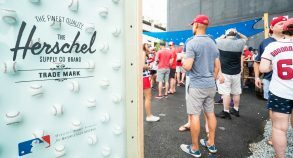 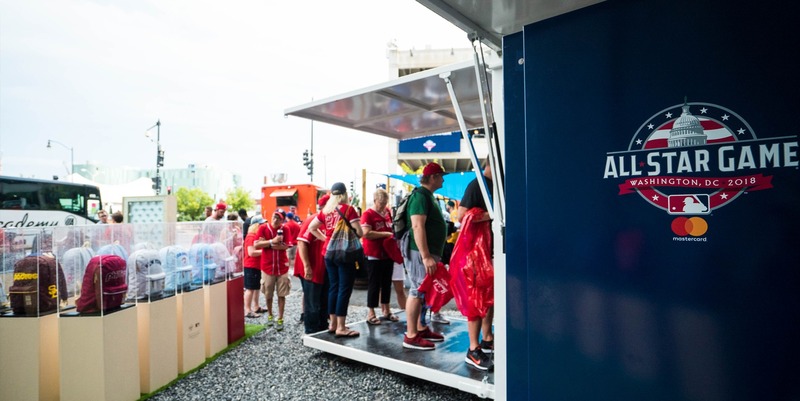 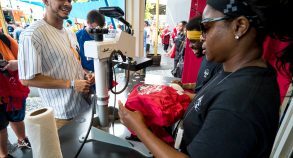 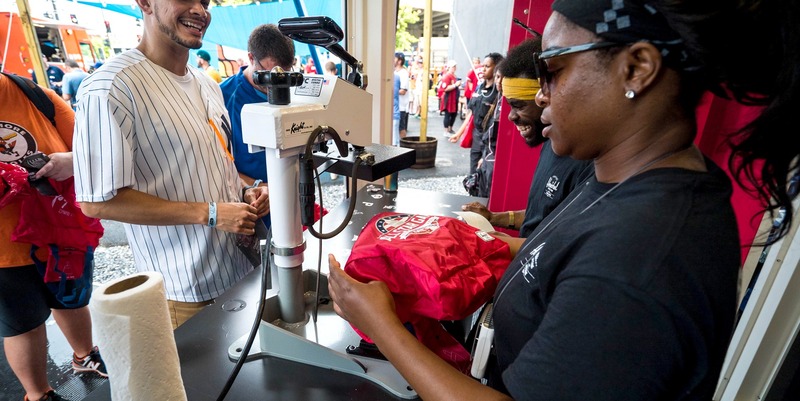 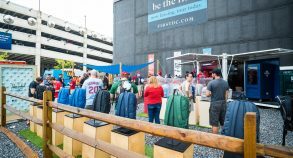 To attract visitors, a reusable bag stamping machine was setup inside the SSlite8 unit, where clients could get a free bag freshly stamped with the MLB All-Star Game and Herschel logos. 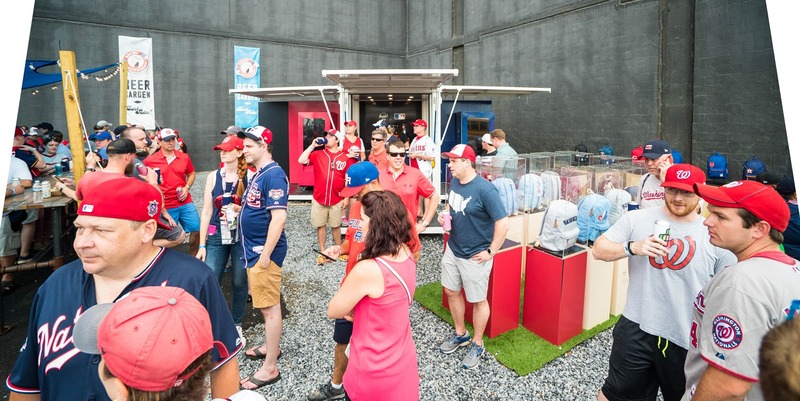 The unit was located close to the rest area for food trucks, to take advantage of the free traffic of visitors. 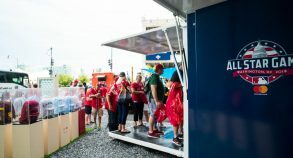 Passionate sports fans are ready to spend more to acquire specialized or branded products or to live a unique experience with other fans who share the same passion for a sport or a team. 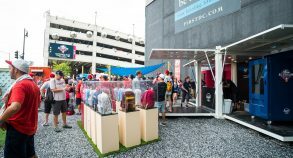 Since recycled shipping containers are viewed by consumers as temporary setups, it creates a sense of urgency among fans and encourages spontaneous purchases.